While this revolution is gaining wide acceptance, WatchUGot, a blockchain-based social challenge platform that facilitates community building through social charity initiatives and rewards participants in the form of exchangeable cryptocurrency capital has arrived. "Blockchain technology presents amazing solutions to common problems nonprofits may face. A blockchain is a distributed and immutable ledger, everyone who accesses the data technically owns a copy of it, and said data cannot ever be changed once it is appended to the chain. Thus, by its very nature, information on the blockchain is entirely transparent, and unable to be manipulated by an external force or even the institution itself. Nonprofit institutions can leverage this transparent infrastructure to engage donors and increase overall trust in their organization. Particularly for smaller nonprofits without a ubiquitous brand name, a public blockchain-based ledger would ensure accountability and help the organization garner trust directly from the distribution of assets. Blockchain powered systems can fully circumvent the use of a third party in all transactions including banks, governments, and foreign exchange institutions. For nonprofits, this means that the transfer of money across borders becomes instant and costless. Without a third party mediating and pocketing a cut of the transaction, the full extent of the currency (whether it be a heavyweight cryptocurrency like Bitcoin, or a dollar-pegged stablecoin such as Dai) is transferred to the user. This is really important for international organizations to avoid uncompetitive foreign exchange costs. UK charities, for example, are losing 50 million euros a year in transfer fees and exchange rates. Avoiding centralized banks also serves to mitigate the aforementioned loss of trust in such financial institutions, adding to donor confidence." With that being said, WatchUGot and WUG tokens provide such a system, by combining aspects of our legacy version and applying a tokenized incentive model with virtual, physical & non-fungible goods (badges/items) to transparently award community participants and charitable organizations. As depicted above and as indicated in the official whitepaper of WatchUGot, WatchUGot is a blockchain-based social challenge platform that facilitates community building through social charity initiatives and rewards participants in the form of exchangeable cryptocurrency capital. Furthermore, WatchUGot is an Ethereum based social networking app that provides users with the tools and platform to develop community fundraising campaigns. WatchUGot combined the crowdfunding components of GoFundMe with the social aspects of Facebook and Instagram on a blockchain. 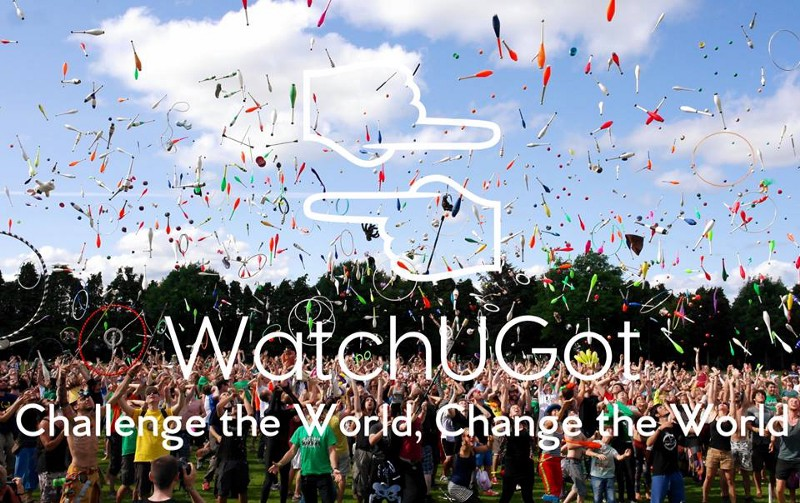 WatchUGot allows users to create and participate in fundraising initiatives for meaningful causes, while being rewarded with real cash-value in the form of our WUG tokens. The legacy (non-blockchain) version of WatchUGot is already live and available for download on Google and Apple marketplaces. In developing WatchUGot, the primary motivation was to develop a platform that would provide users with the tools to develop community-driven charity-initiatives to benefit good causes. WatchUGot also endeavors to provide exposure through social awareness campaigns and educate community members through the direct and practical applications of blockchain based technologies. The WatchUGot blockchain environment supports three (3) unique Ethereum utility token standards: One (1) standard ERC-20 (WUG), one standard ERC-20 (RIVL) and one (1) ERC-721 token for use as non-fungible goods. The primary game coin (WUG), incorporates aspects of gamification and the principles of fair-market economics to incentivize community participation. WatchUGot’s Challenge model provides participants with the tools to generate funds for charitable causes while having fun and rewarding users for achieving goals while helping others. WatchUGot’s new unique gamifying features leverage Ethereum’s ability to mint unique, inflationary tokens as non- fungible (ERC-721) virtual items (similar to cryptokitties). The non-fungible tokens interact directly with WUG (ERC-20) tokens and are designed to compensate individuals for content curation, campaign development, moderation and specific actions (upvoting, meeting fundraising thresholds) by awarding RIVL (ERC-20) and WUG-tokens relative to the amount of content, or participation contributed. These aspects, in conjunction with the WUG monetization model, provide the components necessary to create an innovative fundraising product on a blockchain platform. Why choose WatchUGot? - As indicated on the official website of WatchUGot .. Basically why WatchUGot stands out. Like challenges and want to make a difference? Now you can experience the best of both worlds. The WatchUGot platform and WUG token enables you to raise money for a good cause all while having fun with friends, family and followers. WatchUGot bridges the gap of blockchain innovation and charitable crowdfunding. Join our migration to the Ethereum blockchain and be a part of the FIRST social challenge network for blockchain. Register on WatchUGot & get automatically matched to campaigns based on your interests. Search other campaigns or be automatically matched by WatchUGot with charitable events nearby. Exchange tokens for other cryptocurrencies or fiat (EUR/USD). Donate your tokens, cash or withdrawal and spend how you want. 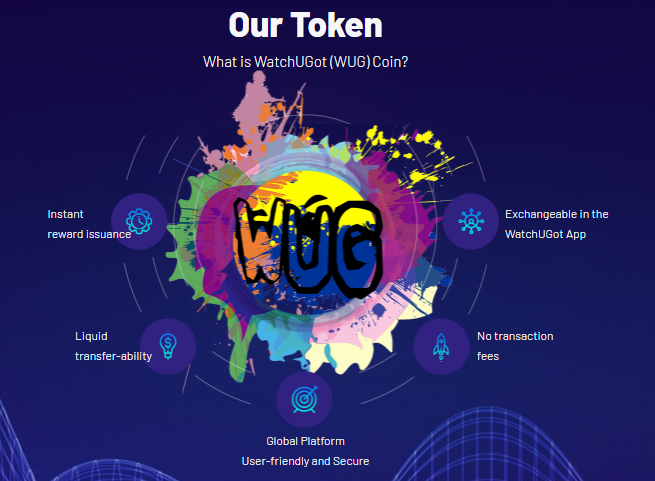 The Ethereum (ERC-20) WUG token is the official coin for use with the WatchUGot store and game environment. WUG is the primary, native currency for virtual and physical items exchanged on the WatchUGot application. It is also the exclusive currency for donations made toward charitable causes and the only token redeemable for cash-value. Project finalization and corporate restructuring. Pre-sale & ICO structuring. RIVL token development. WUG ICO phase begins. ICO initiation and marketing. Wallet integration and closed beta begins. Open beta completes. QA/C followed by initial launch release. Check out the whitepaper for more information. Learn more about global donations, through crowd funding events like the Ice Bucket Challenge, which raised over $115 Million on ONE summer.